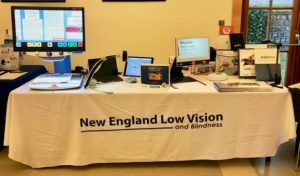 New England Low Vision and Blindness was proud to support the Carroll Center For The Blind’s Technology Fair on November 20, 2018. 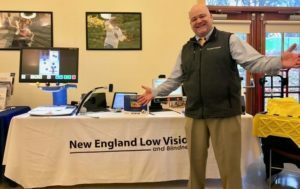 Scott Krug, President, New England Low Vision and Blindness presented to the latest technology to people who are visually impaired. Several people came by our booth to learn about the latest equipment and applications. 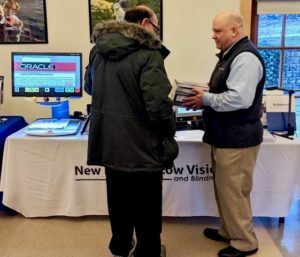 If you did not have the opportunity to attend or to learn more about any of our products and services or to schedule a no-obligation product demonstration, contact a Technology Specialist at New England Low Vision and Blindness to learn more. You can also call our toll free number 888-211-6933 or email us at info@nelowvision.com.